Sometimes products come along that are so amazing and so useful, you just can’t live without them. These tiny tech toys won’t take up a lot of space but they will add a whole lot of functionality — and fun — to your life. Check out our tiny tech must-haves for 2019. This candy-bar sized hand-held camera will help you capture all of life’s big moments whether you want video or still photos. 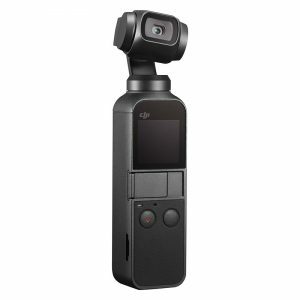 This is the smallest handheld camera DJI has ever designed and while it’s tiny in size, it delivers quality video and detailed images. The OSMO Pocket Camera shoots 4K/60fps video at 100 Mbps and photos at 12 MP. 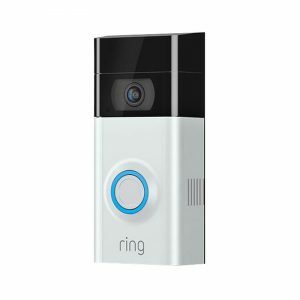 The Ring Video Doorbell Security Camera allows you to connect your doorbell to a video system, which you can monitor from your PC, smartphone, or tablet. With mobile alerts and two-way talk you can answer the door and speak to your visitors from anywhere. The system also includes motion sensors, infrared night vision, and live, view on-demand video and audio. Here’s a fun gift for the little ones in your life. The Furo Music Headband is a set of comfy headphones, worn the same way you would wear a headband. It comes in fun colours with animal motifs and is soft to the touch. The headbands also feature a high-quality speaker and a built-in microphone so your mini tycoon can take calls on the go. Next time you take that perfectly shareable pic, you can print off copies to share with your friends and family. HP’s Portable ZINK Photo Printer weighs just 6 ounces and is the size of a smartphone! 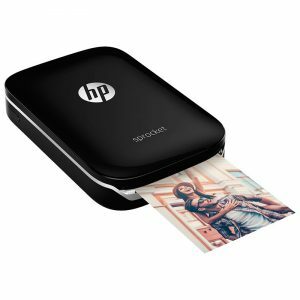 This fun, sleek printer instantly prints 2 x 3 inch photos from your smartphone or tablet with the HP Sprockett App and Bluetooth technology. Google’s Home Mini Voice Assistant Speaker is the assistant you never knew you needed. Ask it questions, like “Google, will I need an umbrella today?” or “Google, what does my day look like on Saturday?” Your Google Assistant will have all the answers and will become an invaluable member of your home. And this assistant doesn’t ever ask for a raise. Whether you’re equipping yourself for fun, safety, or your everyday needs, London Drugs has all the tiny tech you’ll wonder how you ever lived without. Next Post: Should You Go on a Social Media Diet?